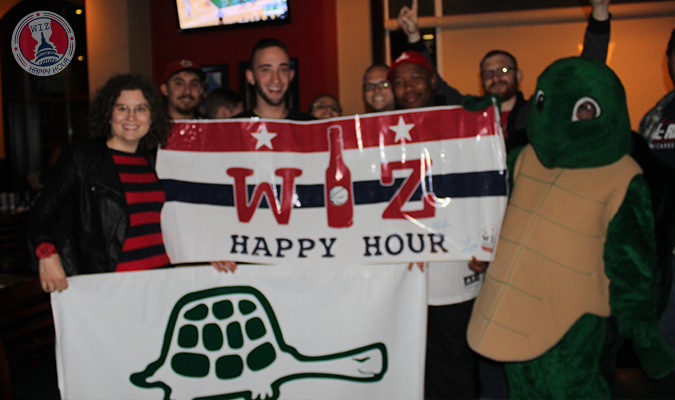 What looked to be a low key Wizards watch party turned into a crazy night of fun as Wiz fans took over the Greene Turtle in Old Town Fairfax. By the end of the night there was no telling how many PBRs and John Wall shots were consumed but let's just say the bar no longer has their regular weekend supply. Oh, and the Wizards won, or so we were told the next morning. 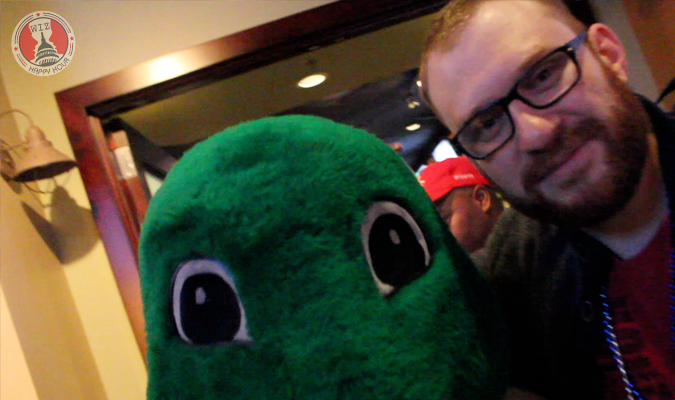 The Greene Turtle in Fairfax set Wiz Happy Hour up in their party room overlooking old town. We had a great setup and some amazing specials as we watched the game with Wizards game audio (of course). The bar provided some free sausages and we provided a fun Wiz crowd. At one point I looked up and almost everyone had a John Wall blue shot in their hand. Then the waiter came in...with another tray full of them! The event included all the fun we typically have. 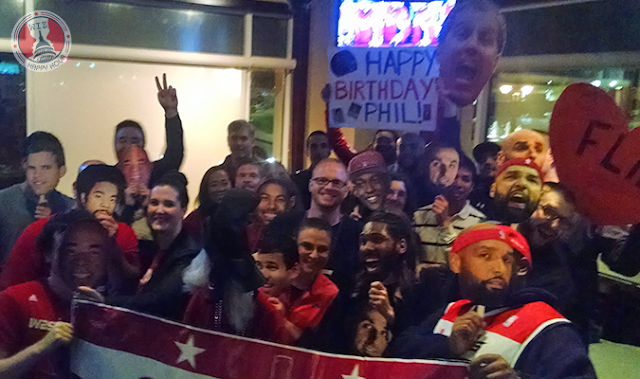 It was Phil Chenier's (Wiz tv announcer) birthday so we sent him a nice bday video from the crew. We had our big heads in the house, all our player masks and everyone had a great time sharing photos with their friends who couldn't make it. 2 fans walked away with autographed prizes as well! We even got a visit from the Greene Turtle him/herself!!! After the Wizards won the crew shifted out to join up with karoke night and a few people shut down the bar (after they scared the crowd away with their singing). We hope to do another watch party at this location later this season so hope you can make that one if you missed this one! See you out there! Go Wiz!